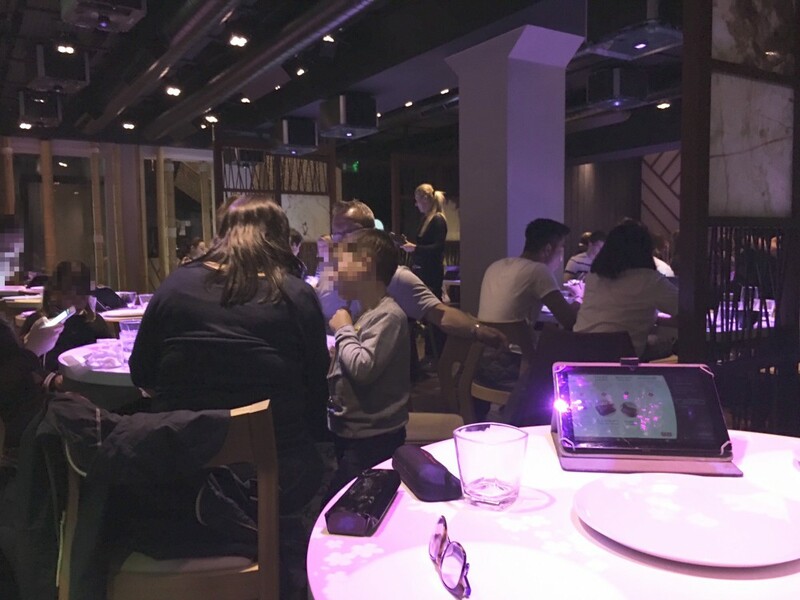 As a bank holiday treat, my son and I headed out to find some nice food and stumbled upon Inamo, a Pan-Asian restaurant in Covent Garden. 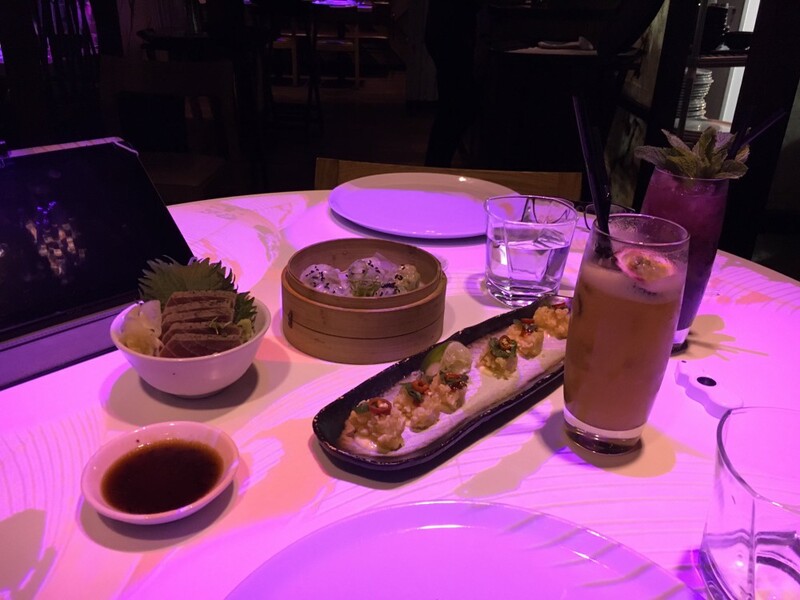 You order off a tablet placed on the table, giving you a really good idea of what’s to come which encouraged us to try new things we might not have risked off a simple written menu. The great photography encouraged us to buy more than we needed and I opted for a delicious mocktail which I would have normally passed over for a safe glass of Sauvignon Blanc. So far so good. The scary bit was the gimmick which tagged along in this cyber eatery and gives the place its USP; each table is set up with interactive computer games beamed on the surface from above, it’s a super cool system. We were intrigued at first and attempted a joint game of something bleepy, but it was pretty mindless. Looking around us I was shocked to see our fellow diners had mostly reverted to their phones. The techno theme of the place collaborated in rendering screen addiction acceptable. Groups of friends, families and couples, all having made the effort to gather, were individually staring at their virtual friends. I snapped out of my relaxed attitude, turned the projector off and told Toby we MUST have a conversation, which turned into a great argument and our communication was restored. Phew! Controversial statements wake people up and start verbal juices flowing. A great discussion from opposing sides of a point of view brings us to life. So our gutter press have taught us via years of shocking front page statements. I’m glad we are talking politics again and I’m known for being outspoken and calling a spade a spade. My great friend Daisy Waugh and I have totally opposing political standpoints and argue voraciously both in private and publicly – but we never hold a grudge. But sometimes we all write things down on a keyboard we would say not face to face. The trolling some of my pro- or anti-Brexit friends have received has been vicious and tantamount to serious abuse. The pro-Goldsmith rhetoric which turned into appalling Sadiq Khan bashing we read in the run-up to the London Mayoral election, was out of order. Any PR JoJo Maman Bébé achieves in the Mail Online results in a wave of hatred from seemingly professional moaners and even I must admit to being unnecessarily harsh to a fellow retailer recently by stating I would be embarrassed to dress my child in their clothes. I apologise to the designers of the Diana collection, from Seraphine because my statements were unnecessary. I think the collection sweet, but the ‘Little Lord Fauntleroy’ style (which is originally adapted in this well made range), is just not our rough, tough kids’ style. I’m sure their customers are loyal and good. So each to their own, but I did not need to be mean and would never willingly offend people. I was, like those trollers, writing my blog with little thought that my words are read by real people with real feelings. Yes, I like to raise issues which others will pick up and turn into a conversation and I don’t mind a bit of an argument to justify my points of view. In fact my best-read blog post to date was ‘10 Weird Things About the USA‘, which naturally caused a little upset as you can imagine. We need to keep face-to-face communicating alive and teach our little ones to do the same. 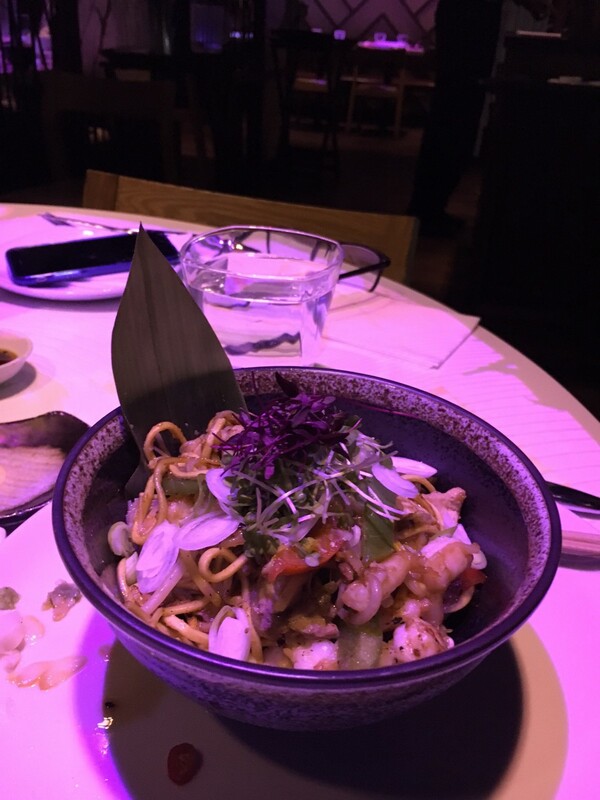 I thought Inamo was a brilliant restaurant – the food delicious and the few staff we met friendly and helpful. The photo menu was a bonus point. But please dump the computer games. I’m all for booster seats brought to the dinner table teaching babies to join in the conversation from an early age. Gathering round a kitchen table and chatting or arguing long after the last of the food has been gobbled up, is one of the greatest pleasures in life.